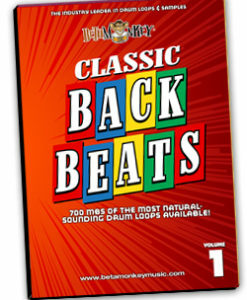 The way drums used to sound before digital workstations and beat detective! Weighing in at nearly 2 GB, you get all the vintage beats you’ve searched for: rock n roll, surf, Motown, and British Invasion. Nothing but 100% live and purely acoustic drum loops, all captured to tape and ready to inspire you to play a bit more how they used to! If you’re after the grooves of yesterday, then you’ll love the grooves we’ve pulled together for this retro loop bundle set. 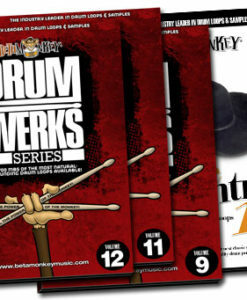 Get the retro drum loops you want – surf, rock n roll, British Invasion, and more. All the grooves and beats from the earliest foundations of rock and pop music. 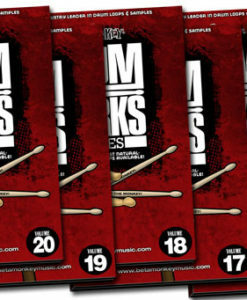 Capture the open and live vibe of a kit surrounded by just a handful of mics, keeping all of the ambiance and bleed that made the classic rock drum sounds exactly what they are: classic. 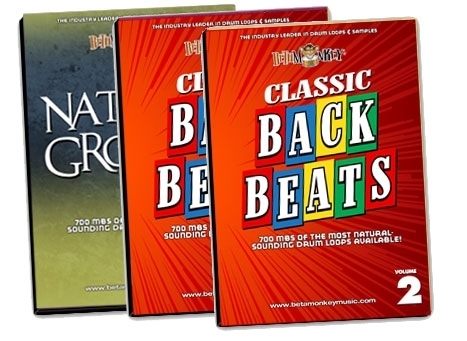 This retro/vintage loop bundle includes three individual loop collections: Classic Backbeats I, Classic Backbeats II, and Natural Grooves. This vintage groove Library is full of beats and fills that are perfect for every project looking to capture that 50s and 60s production vibe. 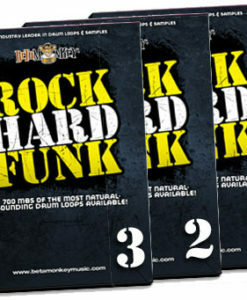 If you’re looking to add some retro spice to your sound, this loop and sample bundle will serve up the tasty Old School drum loops and drum samples you’ve been looking to add to your songwriting arsenal. Get the authentic sound and feel of a golden era. If you’re tired of the modern sound, with it’s lifeless, sterile sound and want your beats as if they were just ripped from some classic vinyl, then you owe your songwriting this inspirational collection of nearly 2 GB of decidedly old-school grooves, coupled with modern production values (tape hiss is nice, but it’s nice to have a choice these days). 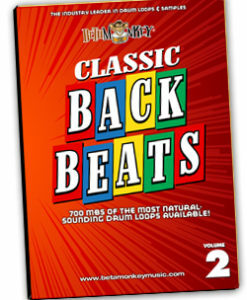 Go retro and go 100% live with the classic back beats that served the early days of rock so well. 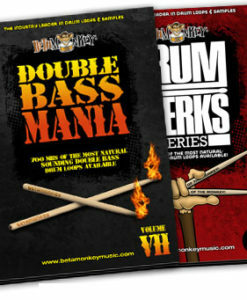 Order the Vintage Rock Drum Loops Combo Pack for only $49.99 (nearly 50% savings!). Ultra-live, retro acoustic drum loops for rock, pop or bluesy-rock (think anything 60's), Classic Backbeats I offer 1.3 GB of multiple drum styles and tempos as well a pure, punchy sound that simply makes it a "must have" retro drum tool for anyone needing the pure unadulterated tones of an acoustic drum set.